Advanced pancreatic cancer and other malignancies located proximal to the small bowel might cause gastric outlet obstruction (GOO) resulting in nausea, vomiting, dehydration, and malnutrition. Self-expandable metal stents (SEMS) to a large extent have replaced surgical treatment, with gastro-entero-anastomosis as palliative treatment for GOO. The aim of the present study was to evaluate the effect of duodenal stenting on the rate of gastric emptying, symptoms, and survival. Patients with endoscopically verified malignant obstruction of the proximal duodenum were included. Gastric emptying rate was measured prior to and within 1 week after stent placement using a meal containing 13C-octanoic acid as a marker. Symptoms related to GOO were assessed by the patients before and 2 weeks after stent treatment and during the gastric emptying tests. All patients were followed up until death. In the patients included (n = 17), all studied variables of gastric emptying improved significantly following treatment, and a reduction in self-reported obstructive symptoms was observed. There was no correlation between survival and the rate of gastric emptying before or after, or the change in the rate of emptying. 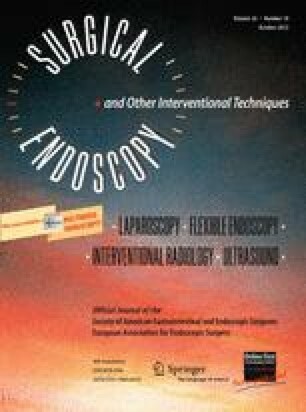 The present study demonstrated that treatment with SEMS results in improved gastric emptying in most patients with GOO and a corresponding reduction in self-reported obstruction symptoms. However, survival and emptying were not related. The present findings provide further evidence that treatment with stents is an effective palliative treatment in patients with GOO. A special thanks to Anne-May Schjønneberg and Grethe Keirung who conducted the octanoic acid breath tests (Protocol ID in ClinicalTrials.gov: NCT00422409). L. Larssen, T. Hauge, and A. W. Medhus have no conflicts of interest or financial ties to disclose.